Off the coast of Nova Scotia sits a small island that is a riddle wrapped in enigma. In the 1700s, people noticed strange lights there at night, and the person sent to investigate them disappeared. Eventually, a couple of kids who rowed out to the island found a strange indentation in the ground. This discovery began a quest that goes on until this day, and has involved everyone from FDR to John Wayne. 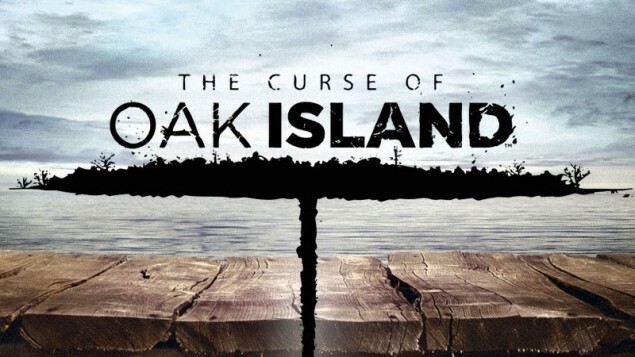 What lies beneath Oak Island? Is it a pirate treasure or a Viking horde? An ancient Fort Knox or even a lost Biblical relic like the Ark of the Covenant? No one knows, and anyone who has tried to find out has encountered an unexpected problem — booby-traps. Someone went to great measures to hide whatever is there, because as soon as you dig down a few feet, sea-water from various hidden, man-made channels floods the hole. Enter the Lagina brothers from Michigan. Older brother Rick is obsessed with decoding the secrets, so his little brother and Texas oilman, Marty, spent a fortune to buy access to the island. The brothers dig deep into their pockets and deploy technology like never before. This could be it, but there will be obstacles. The island is allegedly cursed. There’s an old prophecy that says “7 will die before the treasure is found.” The Laginas are fully aware of the death toll so far…6.